“Build You Own” was designed specifically for our creative customers who prefer to be their own Vaja designers. With this option, your favorite leather and color combination is only one step away. 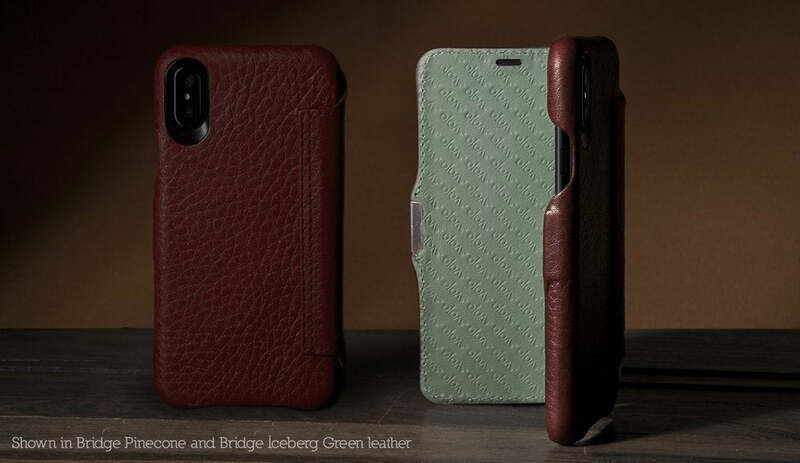 The high grip texture of the new Agenda MG iPhone Xs / iPhone X Folio leather Case allows you to hold your iPhone Xs comfortably and the hard cover enriched by its four-corner protected polycarbonate frame, helps absorbing minor shocks. The premium leather lining prevents scratches and the joint of the back and front cover has been carefully stitched to increase resistance and durability. Aesthetically the Agenda MG iPhone Xs / iPhone X Folio leather Case presents very neat features such as the Clamshell Magnetic Closure, the Black-framed camera eyelet for better pictures under low light conditions, a unique stainless steel Vaja logo, two leather types and a vast pallet of colors to choose from. Explore the colors, leathers and features that best fit your life style, the Agenda MG iPhone Xs / iPhone X Folio leather Case is everything that your iPhone Xs could ask for.